They catch one, take it out, and tie it to a pillar before saddling and bridling it. Then he must ride the horse and stay on for at least a minute. Everything you need to know about El–Oiyn national celebration. 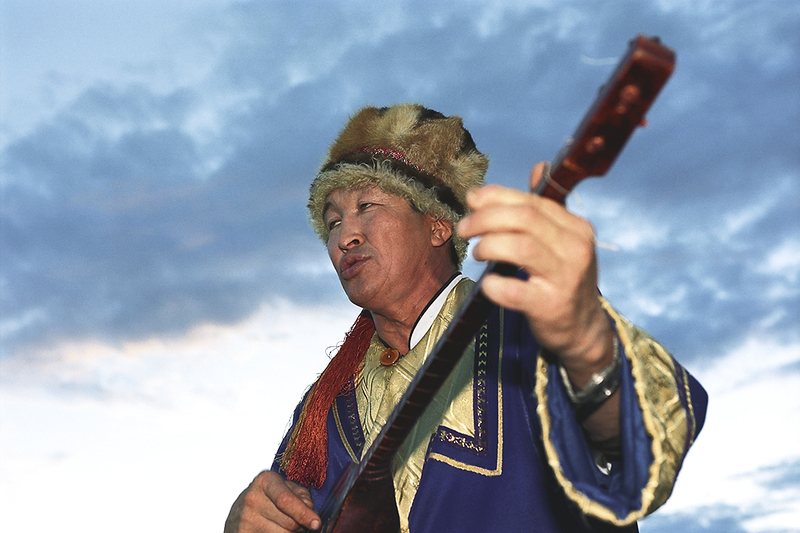 Today the holiday features performances of folk groups in all dialects of the Altai language, and dramatized shows, including historical plays based on heroic legends and myths. 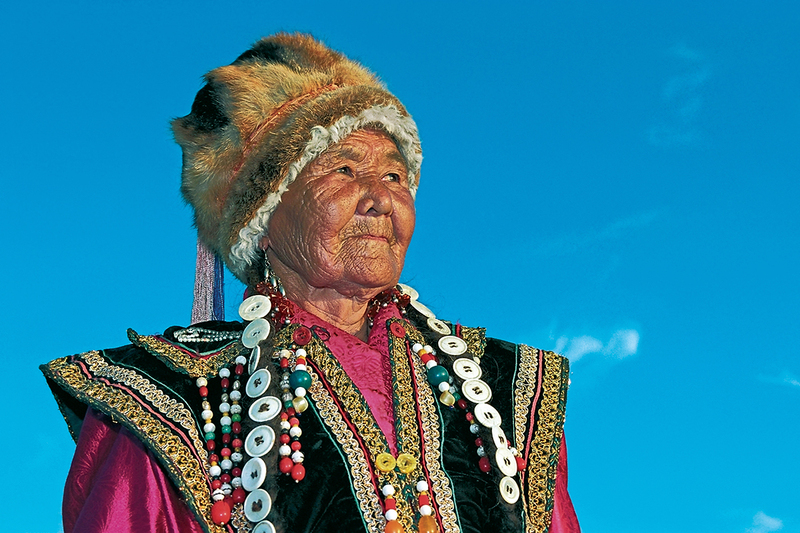 Translating from the Altai language, “el” means “people” and “oiyn” means “game, competition”. Literally, the name is translated as “people’s games”. 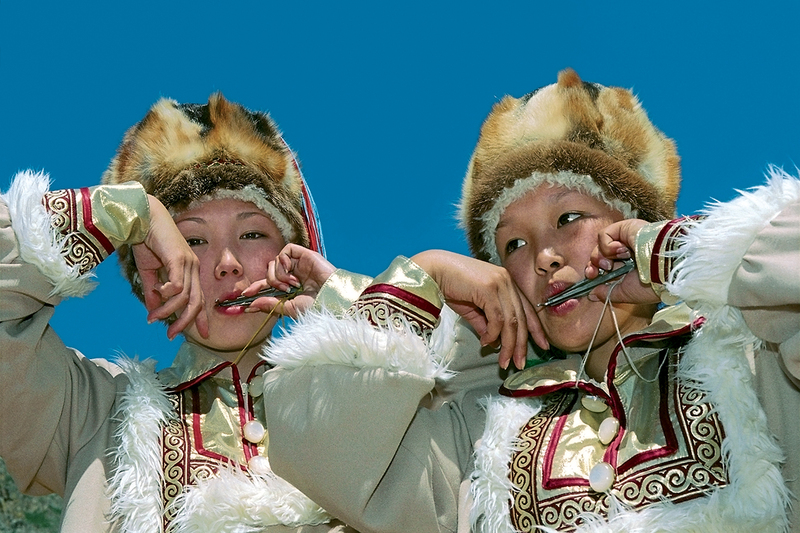 Initially, the idea was that El–Oiyn would be a local “Olympic Games”, including national kinds of sports, but later the significance of the holiday began to embrace the revival of Altai cultural and historical traditions. 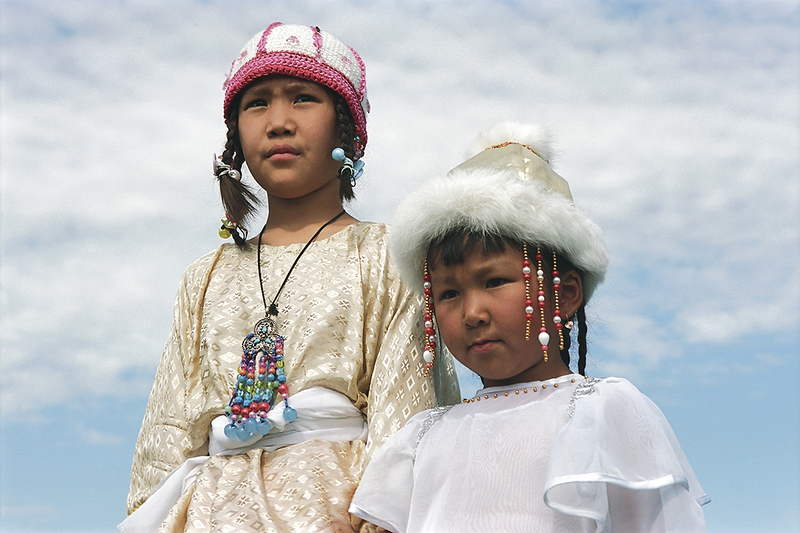 El–Oiyn is a national celebration that is held once every 2 years in the summer in Altai Republic, Russia. 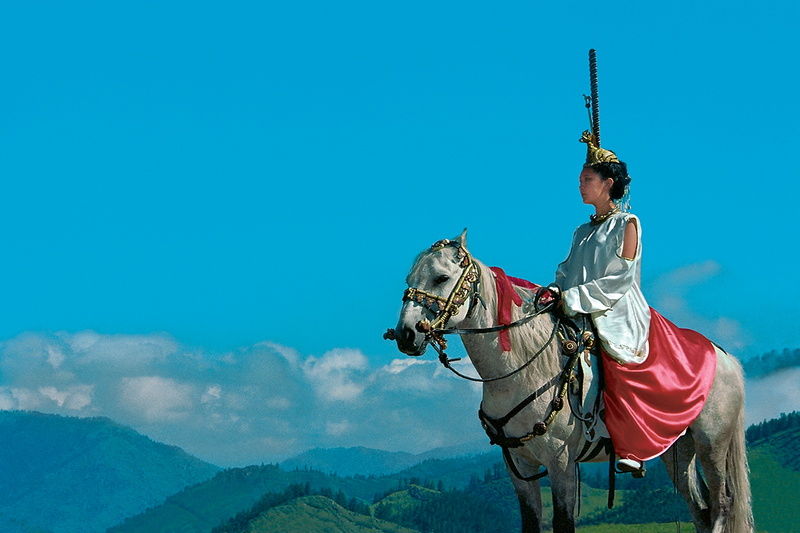 Participants are dressed in national costumes that hark back to days of old. That is why people in shaman clothes participate in the celebrations. 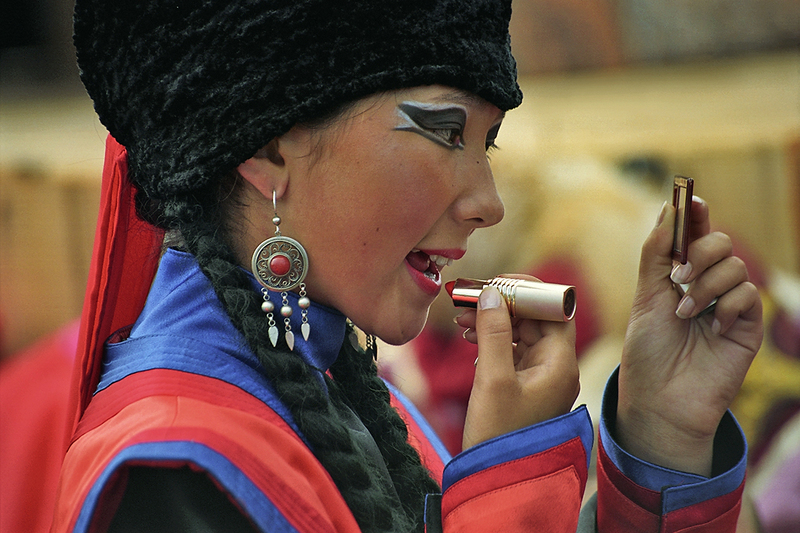 Drum rites, rituals, meditation, mysteries, and throat singing are all part of the program. 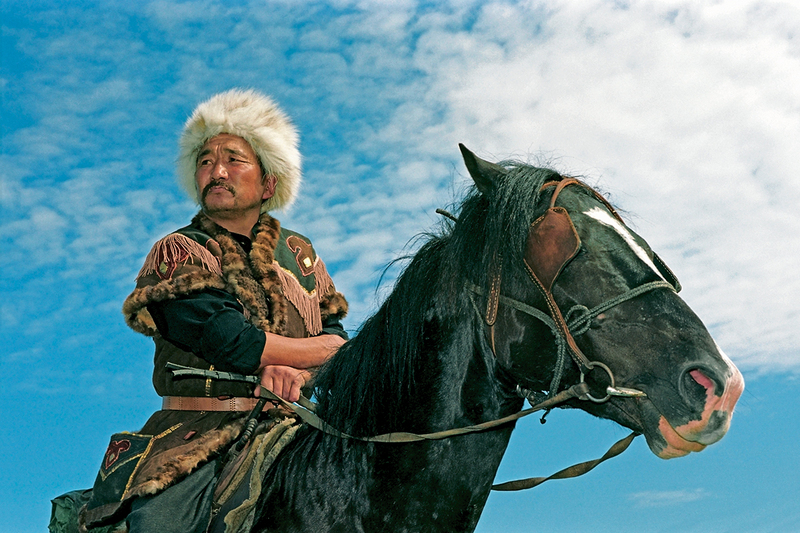 The most exciting contest is “Emdik Uredish” – an equestrian competition with the main prize being a car. During the “rodeo”, the “cowboy” and his two assistants enter a corral with young unbroken horses. 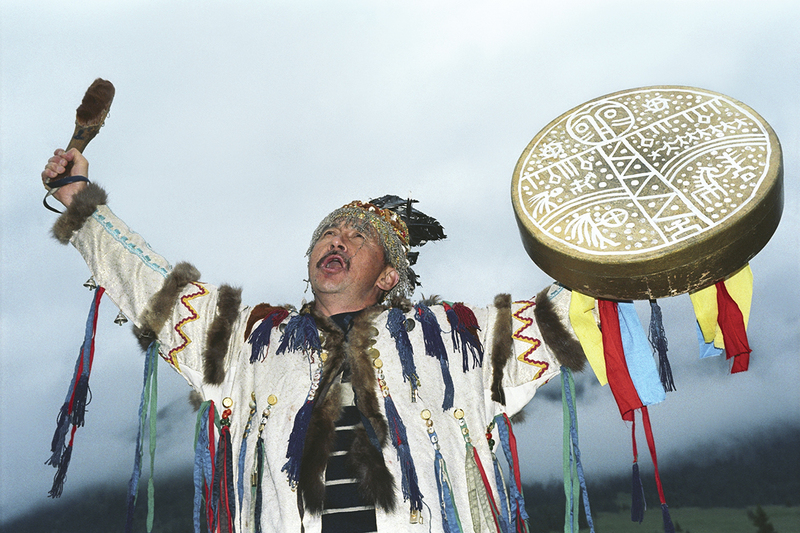 A shaman performs a ritual dance with a tambourine at the El-Oiyn folk festival. 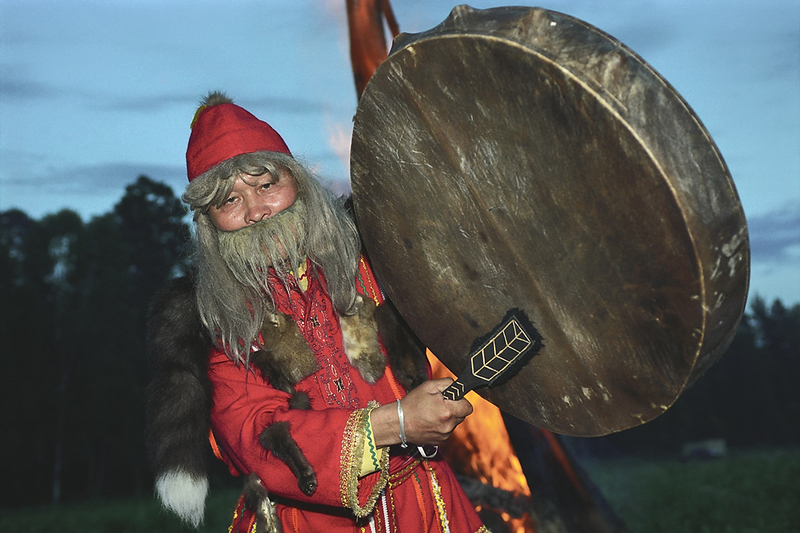 Some Russian regions, such as Altai, Khakassia, Tuva, and Yakutia, still have a strong belief in shaman power. In no time at all, El–Oiyn has started to attract guests not only from different cities of the republic, but from elsewhere in Russia and abroad. 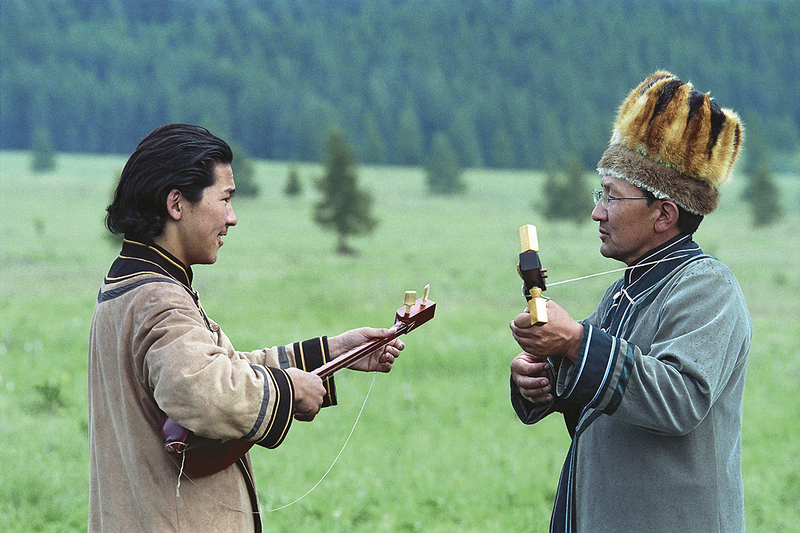 A teacher and his student playing the topshur, Altai’s national string instrument (a two-stringed lute).